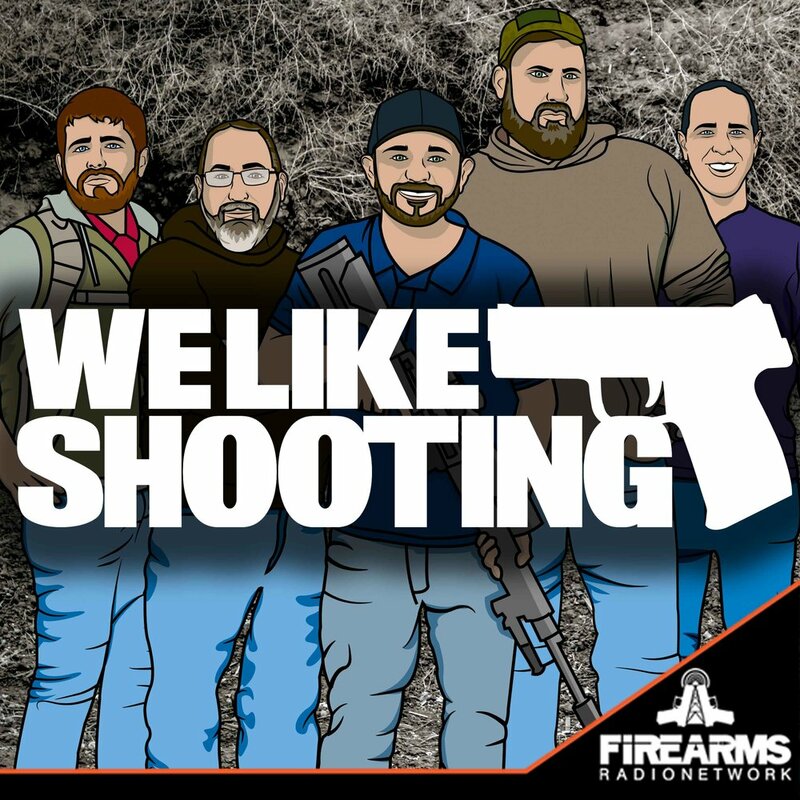 Welcome to the We Like Shooting show, Episode 179 - tonight we’ll talk about Hudson Manufacturing, Brownells, Angstadt Arms, the Long Range Shooting Handbook and more! Mass Shooting at Ft. Lauderdale Airport. Shooter was mentally ill with a history of violence. bills introduced: elimination of gun free zones, national ccw, and HPA reintroduced. Outspoken critic of the clintons/Janet Reno, and the ATF volunteers to be the head of the ATF for $1. I'll keep this quick as I know that Jeremy needs to finish his crayons, and is probably getting cranky. (It's ok little fella you can get back to chewing Crayola's soon enough) The first time I listened I wasn't sure I could make it through a entire show, but now you guys have become one of my favorites. Keep up the good work I look forward to the next show every week. This show is definitely one of the better gun podcasts out there. If you are unfamiliar with the show, I can give you a brief rundown of the cast. Shawn, the host, is generally well informed and I just appreciate him as a human being. Aaron is the annoying, interrupting, lox loving fat sidekick. Jeremy is the guy whom every episode has to tell everyone how big and strong he is. He brags about all the ladies he has had, yet there is never any proof (cough,cough,homo). Eva is usually on the rag and lost all credibility as a trainer after admitting to purse carrying her firearm. She should conceal her gun next to where she tucks her massive sack. Nick, who cares about Nick. Last but not the least high, is Savage. If he traded in all his crappy guns, he might be able to buy one that works, like a Glock or a ray gun. I Jeremy, love man meat but I can't even find my own. Hey Shaun, I'm the guy that accidentally put .223 in the burn barrel during the KTG tactical carbine 2 class on New Years eve... My bad. I just wanted to say that you deserve the nobel peace prize because you are such a great guy. Anyways, I just wanted to say that during the personal interview Jon Patton had with Jeremy, I noticed that he said his favorite food is mozarella sticks. I am guessing his favorite vegetable is a cucumber and his favorite fruit is looking in the mirror... jk. I hope you guys (and Ava) have a great 2017.
the only thing you need to know about this show is that geramy is a closeted gay, and that is why he is such a raging ashhole. Hello WLS, and Happy New Year. I've been listening to your podcast for more than a year, and it's been on of my favorite podcasts out of the 7 others that I listen too weekly. Let me begin by apologizing for this being my first review, but...until episode 177, I would have given them all a 5 star rating, since you guys usually make my day as I listen at work. The reason for the 2 stars for this episode is Shawns seeming lack of humility and hypocritical attitude toward other media sources, and people that Shawn actually called out by name! The hypocritical assertion refers to an earlier episode (I can't recall which one) where Shawn make a comment about how the Firearms industry needs to stop putting down their competition, and support the community as a whole. In episode 177, he speaks against print media, which was, and in many ways still is relevant. Massad Ayoob, and many other were, and still are writing for print media. I don't believe alienating so much of the industry that you claim to support would be appreciative you applauding only "consumers of new media". The one Instagram personality that you called out by name seemed almost spiteful. I'd never even heard of her before you said her name, but after researching her after the episode, I couldn't find a negative. This woman is a registered nurse, and i dare say that she's done more for the community than Shawn has, and yes, she uses her good looks to garner attention...welcome to marketing buddy! You need to remember where you came from Shawn. Being funny and T triple C certified are not valid credentials when criticizing industry experts, like the ones who still reach us through "Old media". Humility is a jagged pill to swallow, but please take one anyway, because I really do love your show. Shoot Straight!